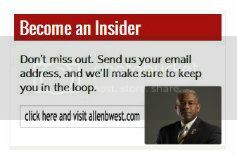 This entry was posted in Weekly Wrap Ups and tagged Allen West, Allen West Republic, allenbwest.com, Col Allen West, Hanukkah, Hebrew language, Holiday, Jews, LTC Allen West, National Security, Thanksgiving, Thanksgiving dinner, United States. Bookmark the permalink. Glad to see that we have great men like you who understand the fundamental values of this Country. And, I sure do hope and pray that 2014 will be the turning point we so badly need and so deserve. But, please Allen, make our Republican friends know that a “third party” on the ballot is a killer for righting this Country; i.e., the current election in VA should be a wake up call for all true conservatives. We must get the GOP back in control any way we can. And, then once we gain the leverage, we can begin to right this sinking ship. NO THIRD PARTY UNLESS THERE WILL NOT BE A REPUBLICAN IN THE CONGRESS OR WH FOR A VERY VERY LONG TIME. I am 69 years old and have known every type of person you can think of. In other words I have been around the block quit a few times. The America I was born in no longer exists. The people I knew, North – South – East – West, had a solid Christian-Jewdian moral code they lived by, and respected with everyone. But, the weak minded Christians’ here didn’t think this code of conduct, which separated us from the rest of the world, was worth defending, and instead handed our country over to liberal Communests to run and set into place a new moral code. Now the memory of our founding fathers, heros, are smeared, Santa Claus is real and Christ is fake, good is bad and bad is good, slavery is preferred over freedom, etc. And, no one wants to know the real truth about things because it mignt upset someone, or may not be politically coreect. The strong minded people I grew up with only exist in small numbers now, less than 10%. I have read all of stats from numerous sources, spoken with hundreds in the know, and what I have written is a sad truth. Americans must recognize this short coming in themselves and take back what has been lost at any cost, or else there will be nothing left to save. I once knew a person who had saying, “You become what you condone.” Tell me what we don’t condone in this country anymore. The name of the person I knew who spoke those words was Senator Jesse Helms. How do we right this quickly? They are moving so fast and intend to squelch us before we can gain more ground. Help with the answer , for even our fellowship leader is perplexed, of all things. I am tired of waking with anxiety. Yet. I know God can right this overnight. That has been my saving thought, as I have become much more active, locally. WE are the legislators, and WE are the courts, by default, IMO! That account is old. Here is my newer one for an answer.